Dreamy pop adventurers Young Magic released their album Melt two years ago as of this month, but it looks as if they have something new in the works, since they've shared a new trailer. The minute-long clip is uniquely titled "◯," and it features swells of ambient noise and electronic beats that are set to a fast-moving flicker of images. 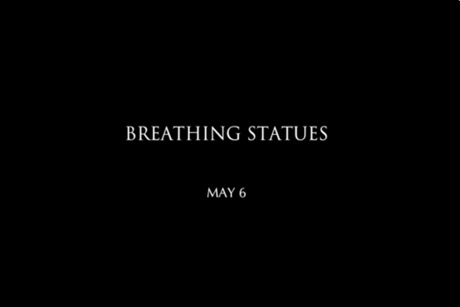 It ends with the words "Breathing Statues: May 6." We don't know anything else beyond that, but it's perhaps telling that it was posted by Toronto label Hi-Scores Recording Library.